The metal plaque was taken from a memorial of 16 tablets commemorating the dead of both world wars at Tower Hamlets Cemetery Park has been restored in time for Remembrance Sunday. 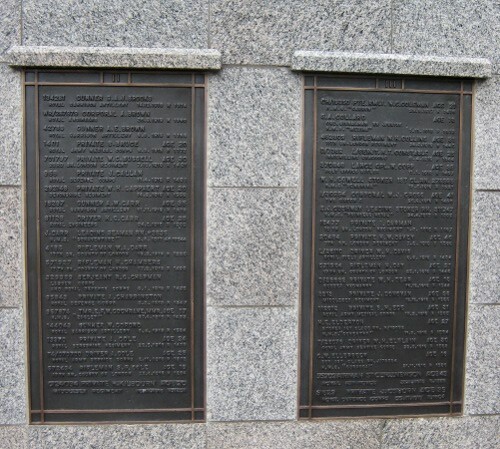 Callous thieves who stole one plaque and damaged a second prised off a metal panel at the war memorial at the Cemetery Park and took away a list of names of servicemen who died in the First and Second World Wars. The thieves stole the plaque on Sunday 8th August and was found in a skip at a scrap dealers in Newham and handed in to police in Bow Road on August 20th. The second damaged plaque was removed for repair and now both have been returned. 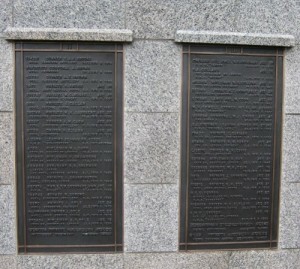 The plaque on the left was stolen - the one on the right needed work to repair damage. It had originally been estimated that it would cost £10,000 to replace the plaque and make good the damage. Ken Greenway from the park which is now a nature reserve said he thinks the thieves mistakenly believed the plaque was made of bronze but its financial value was around £80.